Pacific Christian Center’s Founder – Pastor Donald Shorter Sr., is a man of vision, inspiration and success, against all odds. He is an author of several books including “Winning Against All Odds” and “Take Control Of Your Thoughts” “The Power In You” and “Casting Down Imaginations” published by Harrison House Publishers Tulsa, Oklahoma. Pastor Donald Shorter is a professional radio and television broadcaster, by trade, and a successful businessman. He has hosted weekly on-air television and radio programs for over 40 years, including on ABC Network Affiliates. He has produced and hosted several television and radio programs on various stations over many years including; “Up-Front” KOMO Channel 4 – ABC Network Seattle, WA, “Families Matter” on KVI News/Talk Radio – ABC Network Seattle, WA, “The J.J. Jackson Show” on KJR Channel 95 Radio – Kay-Smith Studio & Broadcasting / Metromedia Communications Seattle, WA, & New York, New York, “IT’s The Life” The Word Network worldwide, “Praise The Lord“, on Trinity Broadcasting Network Seattle, WA – and “The Don Shorter Show”, on KCMS – Spirit 105.3 FM – Christa Broadcasting Network, Seattle, WA, The “Don And Kathy Live” television program, on The Impact Network. Presently, Don along with his wife Kathy produce and hosts the “Don And Kathy Live!” weekly television program broadcasting to over 80 Million households. Their program is streamed each week worldwide. As an experienced broadcaster, Don Shorter uses his humorous, practical, and insightful teaching and communication style, mixed with his own transparent down to earth entertaining approach to effectively relate important life lessons into practical, powerful life steps to the hearts and minds of people of all backgrounds, utilizing the life changing power of the Gospel. With his uniquely powerful and effective way of speaking honest truth, he strikes a chord with millions missing the important core values, desperately needed in today’s society. 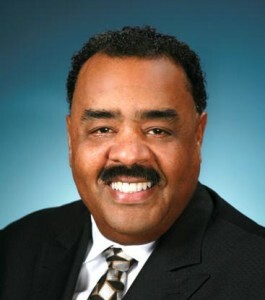 Donald Shorter’s professional background also includes his calling as an ordained minister of the Gospel, and as an entertaining and gifted motivational and conference speaker and a Commercial Airplane and Helicopter pilot, which he often uses to draw parallels to life’s own ups and downs. He has received the prestigious “Excellence In Aviation Award” for his outstanding inspiration in aviation in America from the Boeing Flying Association. As a Commercial Airplane and Helicopter pilot, serves as Pilot In Command (P.I.C.) on relief and medical missions through agencies such as Angel Flights West and on his business and ministry flights associated with special events and speaking engagements. Pastor Shorter was born in New Orleans, Louisiana, and comes from a long history of ministers, including his father, and also his grandfather, Rev. Roosevelt Shorter Sr., founder and pastor of two churches in Alexandria, Louisiana. Through Don Shorter’s travels with his family during his father’s 24 years as a military serviceman, serving around the world, Don grew up in diverse communities including in Japan and various cities across America. Pastor Donald Shorter was initially called into the ministry in April 1973 while under the leadership of Pastor J.A. Boles. He began his pastoral training while assisting his father at a local Baptist church. Pastor Don Shorter served as Assistant Pastor for several years under his father, and was mentored by his grandfather, Pastor Roosevelt Shorter Sr. of Alexandria, Louisiana. Pastor Shorter was licensed into the ministry in 1984. He served as Youth Minister under the leadership of Pastor Owen Shackett at Peoples Church Tacoma, WA, in 1986. Pastor Shorter received the call from God to begin Pacific Christian Center in his home on December 18, 1987 at 8:45am. Pastor Shorter was ordained into the ministry by Apostle, Dr. Frederick K.C. Price in 1994 at the Faith Dome in Los Angeles, California and served on his ministers fellowship Board of Directors for over 12 years. Don received an honorary Doctorate Degree conferred upon him in 1999. Dr. Shorter has traveled to speak at various seminars and conventions, in several countries including in the Philippines, Europe, Canada, and across the United States, including the West Point Officer-In-Training Military Academy, in New York. As an experienced broadcaster, Don Shorter uses his humorous, practical, and insightful teaching and communication style, mixed with his own transparent down to earth entertaining approach to effectively relate important life lessons. Pacific Christian Center is a vibrant, growing non-denominational, multi-racial church located in the Seattle – Tacoma area. Their church services are broadcasted weekly via “Live Streaming”. The Pacific Christian Center supports international ministries and outreaches based in Europe, Africa and the Philippines. Pastor Donald Shorter and his wife Kathy Lynette Shorter have been happily and successfully married for over 40 years. They have three grown children and four grandchildren. Kathy Shorter is a Playwright, and Director, an author and an Ordained Minister of the gospel. Kathy Shorter is know for her awesome work at the Playwright and Director of “A Gospel Christmas”, “The Sound Of Heaven”, “Freedom 4th”, “The House of God” and the highly acclaimed, “The Dream”, An Expression of African American History and the struggles for people of color as expressed through music, drama, and through various on stage presentations.